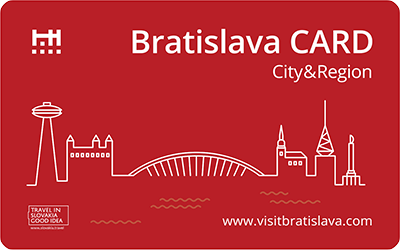 Provides both domestic and foreign visitors to the capital city with interesting and advantageous discounts and gives them the opportunity to discover and experience the best of what Bratislava currently has to offer. More than 500,000 tourists visit the Liptov region every year. The Liptov Region Card is the main marketing tool for this destination, and it combines various discounts on the main attractions in the region. The High Tatras region offers countless tourist attractions ranging from skiing and hiking through the highest peaks to luxurious wellness hotels and an aqua park. 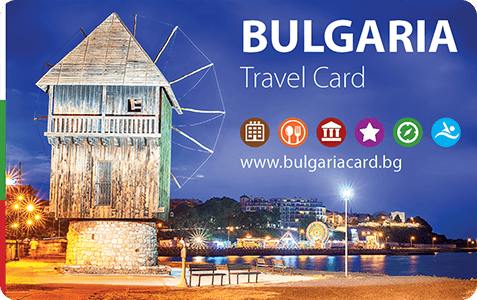 A discount card designed for tourists through the whole territory of Serbia. It offers discounts on museum tickets, historical sights and traditional restaurants. Three ski resorts are located in this Czech Republic mountain region, as well as historical spas. It is most famous for its history and also its many attractions for families with children. Picturesque historical region that has much to offer to tourists. 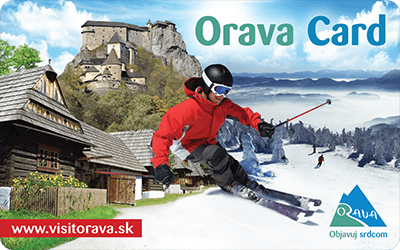 Orava Card includes almost all local attractions - from visiting the stunning Orava castle to rafting. 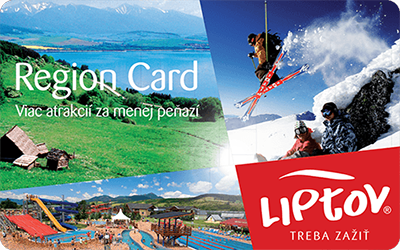 The Association’s goal is to create the right conditions for the development of active tourism with the help of the Spiš Card, and to make it possible for tourists to get to know the targeted regions better and visit them for longer. A region of stunning countryside, castles, museums and traditional handicrafts. The tourist card is free for accommodated guests and offers discounts on museum tickets and accommodation. Is the biggest water resort that is open all year-round in Slovakia, Czech Republic and Poland. It’s located in the Liptov region. One of the top ski resorts in Slovakia. You will have mountains of experiences from the cable-cars, summer attractions and the skiing. The best RELAXATION and ENTERTAINMENT available all year-round in Liptov at the GINO PARADISE BEŠEŇOVÁ water paradise. The ski resort Kubínska hoľa Ski Park – the best family skiing in Orava. Long and wide ski runs, two cable-cars, eight chair-lifts and four large free car parks. The highest ski resort in Slovakia. The groomed ski runs are set at the foot of the Lomnický štít mountain reaching an altitude of 2,196 metres. This resort also offers the longest ski run in Slovakia (5,500 metres). Relaxation, rest and great entertainment in the thermal Agua Park with 13 pools and 350 water attractions. This water park with the area of over 1,600 m 2 offers a wellness centre with saunas,inhalations and a private pool. A five-star hotel located on the bank of Štrbské pleso in the High Tatras. 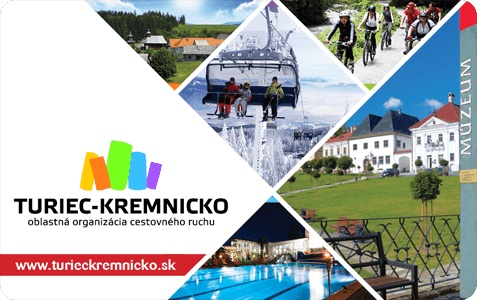 Is ideally situated at the foot of the Lomnický štít mountain in the centre of Tatranská Lomnice. A Luxurious Grand Hotel ****, with a history spanning more than a 100 years, Starý Smokovec is located right in the heart of the High Tatras. Tri Studničky boutique hotel in the Low Tatras is a jewel offering an extraordinary atmosphere and a hint of attractive prestige that differentiates it from the sea of others. The Hotel Grand is located right next to the ski run so skiers only have to walk a couple of metres from the hotel to the lower cable-car station. This hotel is a gateway to a place of peace and perfect comfort. Enjoy a relaxation of the highest standard in the Low Tatras countryside. Cardberg Tourist Insights is a comprehensive online information solution, which enables tourist destinations to collect, store and analyse important information about tourists using discount and loyalty programs known as a tourist/city card. 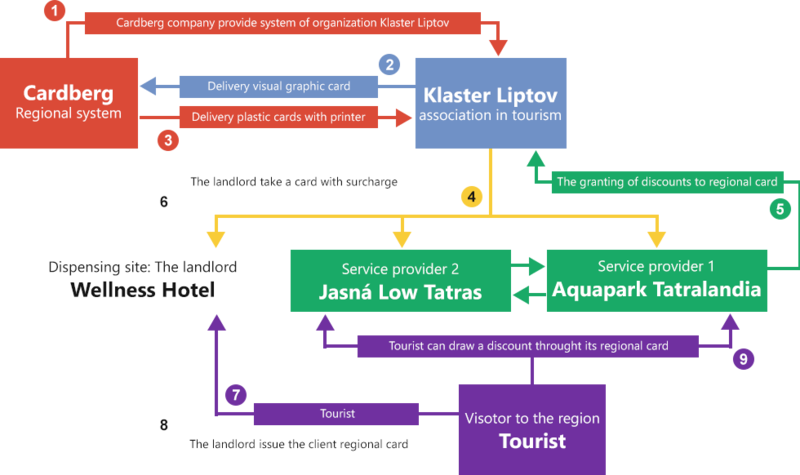 An illustrative example and a diagram of the companies involved in the Klaster Liptov organisation (OOCR Liptov Region). Cardberg, s.r.o. acts as an information system provider to organisations involved in tourism. Klaster Liptov subsequently obtains the authority to operate the regional system within the region in which they operate. 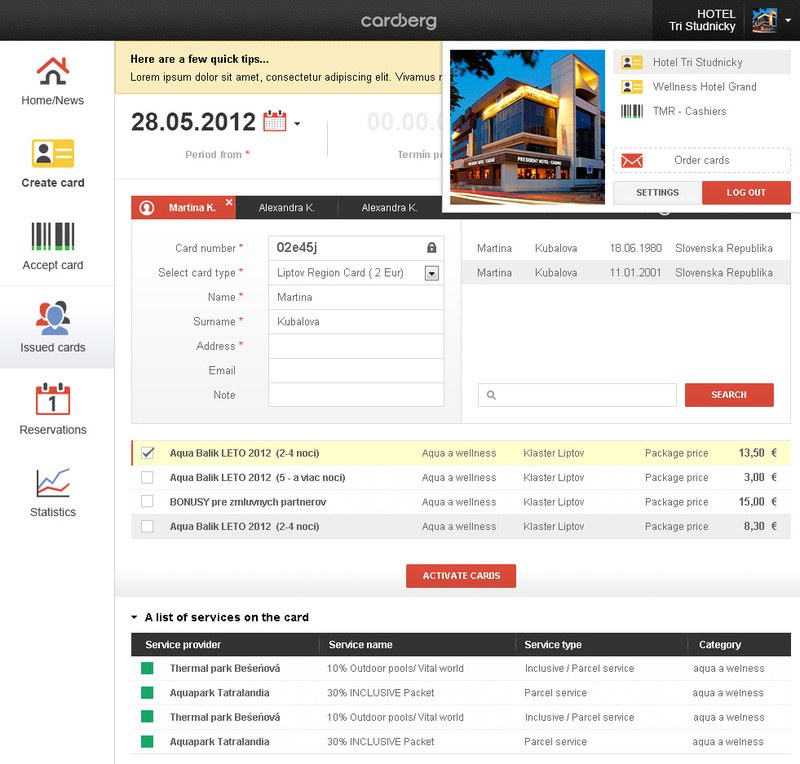 What can Cardberg Tourist Insights offer to your destination? Record keeping can be done by the accommodation facility, information centre or the tourists themselves through online purchase or terminal. 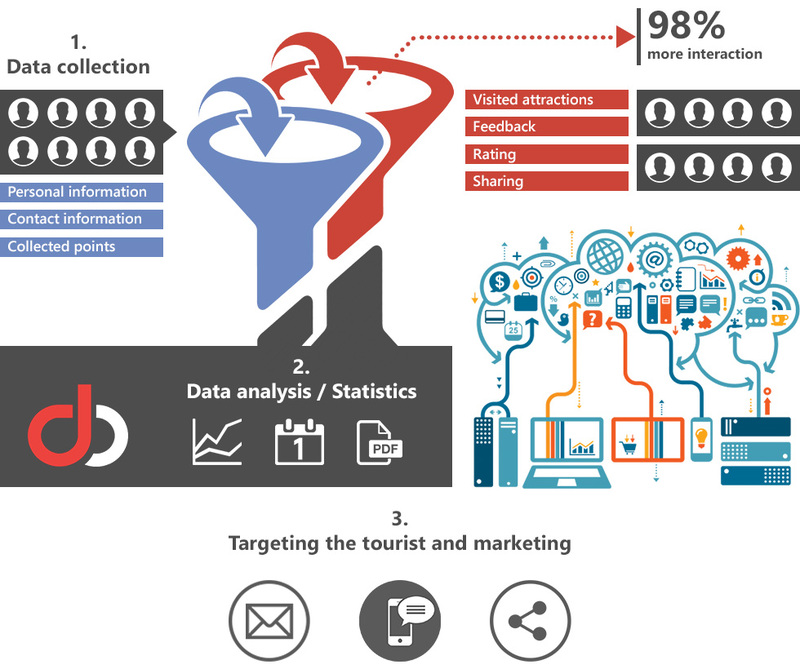 Data on tourists is safely stored in the central database and analysed in detail for marketing and statistical purposes. After the data has been recorded, the tourist will receive a unique identifier in the form of a barcode or QR code that can be used when accepting discounts and interacting with the tourist destination. The tourist will download a mobile app straight from google play/apple store, where they can register and pay using online payment. After successful payment the application will generate a unique QR code that can be used to obtain discounts and benefits instead of an identifier in the form of a paper or plastic card. The system also includes a comprehensive Web Shop solution that is easy to implement on a web page of the destination. 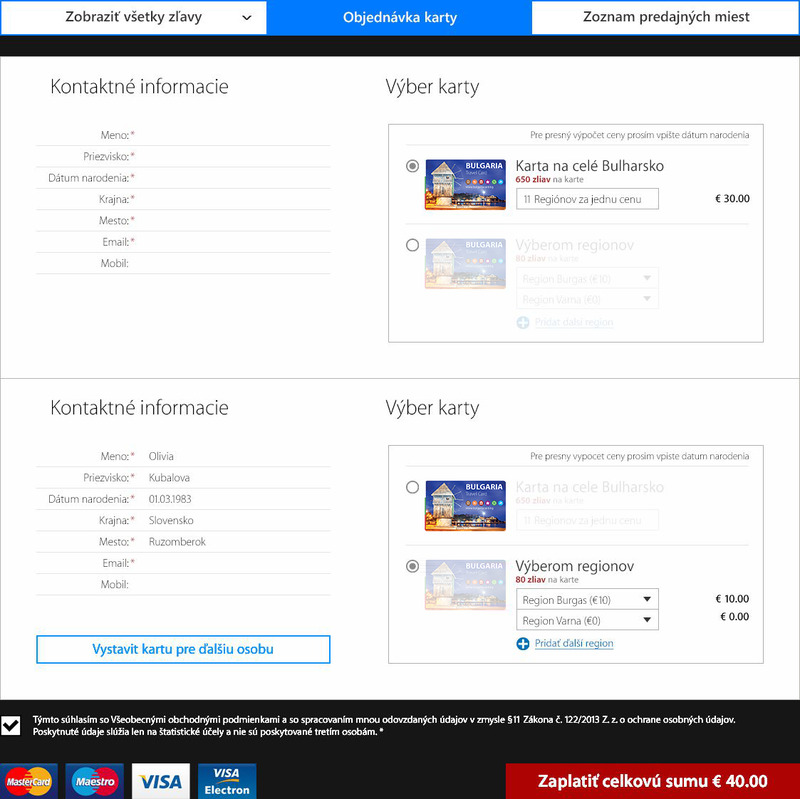 A Web Shop enables tourists to fill in their details in different languages and pay using a payment gateway. The result of their purchase is a voucher, which will be delivered to the tourist via e-mail. 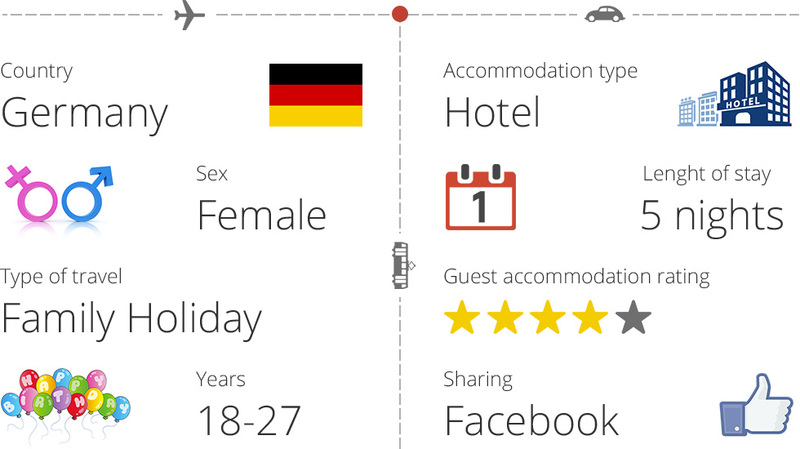 The employees of the accommodation facility have the option to easily and quickly register the tourist in the information system’s online interface. After filling in the necessary information, they only have to assign the tourist with a unique identification number from a plastic card or let the tourist register themselves in the self-service terminal. The system can be used to manage prepaid tickets to attractions and to create a variety of discount / loyalty programs. The discounts and benefits can be adjusted so that they activate variably/flexibly depending on pre-set parameters. Discounts may depend on the length of tourist’s stay, their personal preferences and the number of visited attractions or amount of loyalty points. In turn, the loyalty module motivates the tourists to share their experiences, give feedback or share more information about themselves in exchange for loyalty points. The export of discounts is easy to implement on any web page. The export summarises all current discounts of the tourist that are active at that moment. The rating of attractions and the discounts used is meant for the destination’s internal use. The tourist can only rate an attraction that they really visited and where they identified themselves. The rating itself is done either via a star rating or a text description. The tourist will receive points for their rating, which can be exchanged for a variety of benefits or used to participate in competitions. Sharing the visited attractions on social media in several different languages with pre-written text will enable the tourist to share their experiences with their friends and provide the destination with a great viral propagation channel that doesn't cost anything. To get the tourist to share more information about themselves and the purpose of their stay, we can motivate them with loyalty points that can be later exchanged for a variety of benefits or used to participate in competitions. This will mainly help with building an e-mail database where the tourist can fill in and verify their e-mail, which is often impossible to obtain if they have made their reservation using Booking. It isn't easy to get feedback from tourists. However if the tourist is motivated there is a much higher chance that they will find the time to fill in a short questionnaire or survey, where they willingly share their opinions. Questionnaires and surveys can be adjusted according to current needs of the destination and can be sent via mail after the stay is over. The system begins to monitor the tourists from the moment of their initial registration when their unique number is assigned and continues to monitor them during their whole stay at your destination. Thanks to the system’s complexity it is possible to record, store and analyse the input data from several sources such as the accommodators, attraction providers and the external interface on the destination's web pages. After an advanced analysis by the system’s own algorithms, the data is evaluated into several types of graphs and reports in order to monitor the emerging trends and categorise tourists into several types. The results are categorised in order to be able to evaluate the tourists’ behaviour by country, type, age group and many other indicators. Graphical reports include advanced filters that make it possible to easily filter the results and compare them in selected time periods. Reports can be easily exported to a PDF file. Thanks to all the information the tourists shared about themselves and data on the visited attractions, the destination is able to communicate with the tourist further by using marketing tools. A big advantage is that the communication, which goal is to inform the tourist about new events and attractions in the area, is targeted. 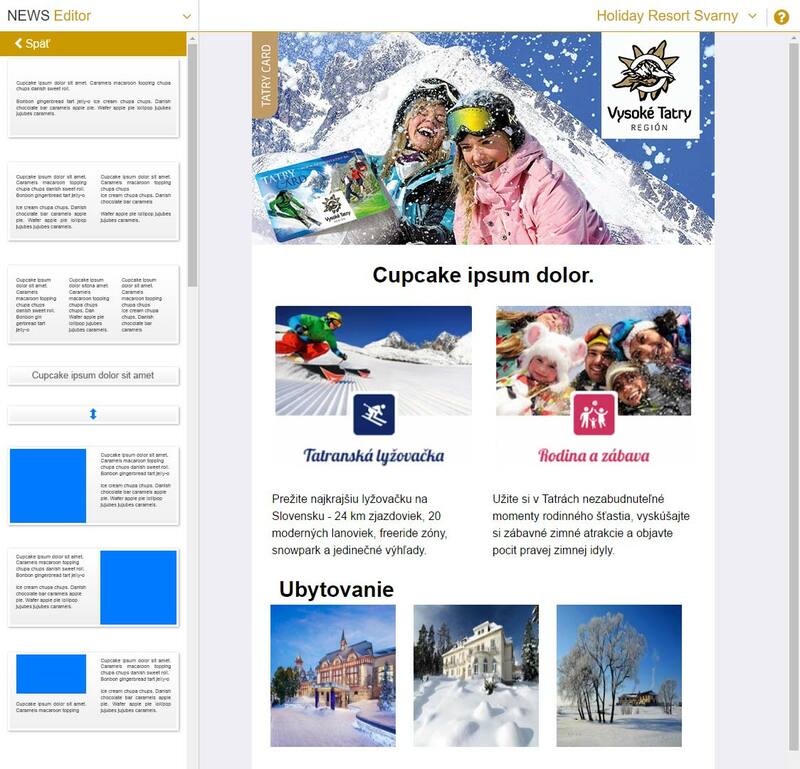 An application that serves as an electronic tourist card and which includes a PUSH notification function that notifies the tourist regarding events in the area. Do you have any questions or would you like to find out more? Copyright © 2019 Cardberg.com. All rights reserved.